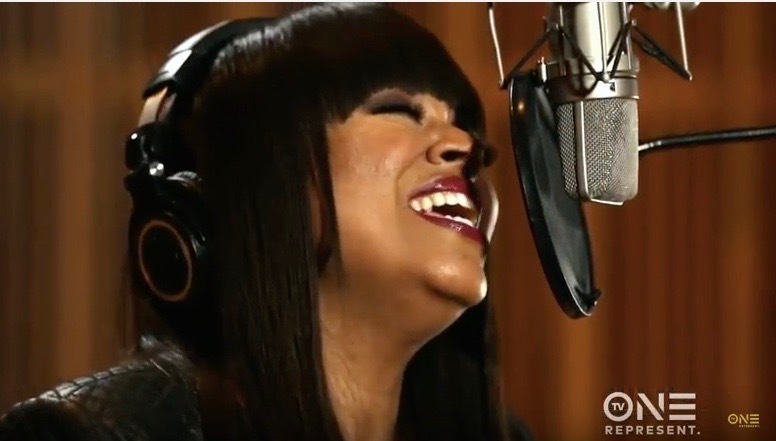 *TV One’s longest-running and award-winning series “Unsung,” now in its 11th season, aired its latest episode featuring Shanice last Sunday, August 6. The Grammy-nominated singer exploded on the worldwide stage in the early ’90s with her hit single “I Love Your Smile.” The track landed in the Top 10 in 22 different countries. Known for her five-octave range, Shanice found success on both the Pop and R&B charts with songs like “Silent Prayer”, “When I Close My Eyes” and “Saving Forever For You,” from the popular “Beverly Hills 90210” soundtrack. In this candid episode of “Unsung,” Shanice opens up about her life as a child star, her personal and professional struggles, and the moment when she and her family lost it all. The episode also touches on how the industry attempted to make rivals out of Shanice and Janet Jackson. Check out the rest of our Q&A with Ms. Shanice below. I became surprisingly emotional while watching this episode, as your personal journey is quite resonating. Shanice: It was emotional for me as well. It’s crazy ‘cause we all cried. My husband cried. My uncle cried. We all watched it together and it was real emotional. They did a really-really good job. I’m really happy with it. There were things that I learned, as far as my image. I was watching it and I was like, all they had to do was tell me, “Hey, we’re not happy with your image. Here’s a budget for some clothes.” I’m watching it and I heard one of the guys say, “Oh, it was the image.” And I’m like, that’s an easy fix. We could’ve easily fixed that. But it was actually great for me to hear ‘cause there were things that I learned just watching it. And it was cool to see my kids. Like, my husband got emotional ‘cause we showed when I gave birth and then seeing my kids at the end and they’re big now. My daughter’s in high school and my son is in middle school. When I lost my house and bankruptcy… reliving all that was a lot but I’m really happy I did it. During the darkest moments, which many of us have experienced, sometimes we can’t see the light at the end of the tunnel. When it was darkest for you, did you ever feel so hopeless that you were convinced that there’s no way out of this mess? Shanice: I felt like, “Okay, we’re never-never going to get through this.” But my husband would always uplift me. It seemed like we were never down at the same time. So when I felt down about it, he lifted me up and when he felt down, I had to lift him up. We helped each other get through that and we prayed a lot. I was on my knees every day praying and I believe that’s why I got through. All the praying I did and Flex and I just helping each other mentally, just uplifting each other and just speaking positive. I had a vision board and I started speaking life into our situation and I think that helped. What was the moment when you felt like, “I FINALLY MADE IT!” — as an artist? Shanice: I think when I was 14 and I first heard myself on the radio. Do you remember that scene, what’s that movie with Robert Townsend?…. “The Five Heartbeats.” Remember their song came on the radio and the whole family ran into that room and they started screaming and hollering? That was me. So when I first heard myself on the radio, I felt like, “Wow. I made it. Like, I’m on the radio.” That was a big big deal for me. And even to this day, “I Love Your Smile” still gets played and I hear it on the radio and still have that same feeling inside. It’s almost like starting over again. It’s still exciting for me. When you reflect on your career, are there any accomplishments that are just as fulfilling as releasing your debut album? Shanice: My Grammy nomination. That was always a dream of mine. I’ve always wanted to be nominated and I was nominated for “I Love Your Smile.” So that was a highlight for me. And outside of my career, having my children, my family — that’s more fulfilling than anything to me. And that’s something that’s mine that no one can take away. I feel like my career, in a way — for a moment — I feel like it was kinda taken away from me. And having a family is one thing that’s mine. My kids bring me so much joy. Giving birth to my children was definitely one of the greatest things I could’ve done. Can you elaborate on what you mean by having your career taken away? Shanice: I’ve always tried to stay current and so when the music started changing I changed with the music ‘cause I still stay true to who I am but I always said I never want to sound like, dated, or anything like that. So I always try to stay fresh and I enjoy a lot of the new stuff that’s out right now. So that was never an issue. The issue was when I got pregnant. I started working on my album and when they found out I was pregnant, I got dropped. I was on a major label and I feel like that was taken away from me because I was pregnant. Because of the timing of it. I’m five months pregnant. I started working on my music. I was excited and I said, ‘By the time I finish the album, the baby will be born and I can still keep it moving.’ I didn’t just want to have kids and not sing anymore. I wanted to have my kids and get back out there. I was going to be in the gym and get my body in shape. I had a whole plan in my head and then when that happened it was devastating. When you reflect on the height of your fame, what’s your fondest memory from that time? Is there one that stands out that you like to revisit often? When fans talk about your music, what is the one song that they say truly gets ’em going? Shanice: People have different Songs. I have a song called “Yesterday,” that I co-wrote with Jamey Jaz and Truth Hurts and people tell me that that’s their song. And most people, especially in other countries, (it’s) “I Love Your Smile.” I remember the first time I met Jennifer Hudson, she was like, “Oh my God, ‘When I Close My Eyes’ is my favorite song.” And then “Saving Forever for You,” that’s a big wedding song. Lastly, folks can’t talk about good R&B music without mentioning your contributions. So which popular artists are you a fan of? Shanice: I love Jill Scott. I love Alicia Keys. My favorite right now is Bruno Mars. I think he’s killing right now. If I could do a duet with anybody, it would be Bruno Mars. You hear that Bruno? Holla at ya girl.